Few people experience art the way a restorer does: as a tactile, multi-dimensional and ever-changing object. The authors investigate a set of tools for the distributed analysis of artworks in physical and digital realms. Their work is based on observation of professional art restoration practice and rich data available through multi-spectral imaging. 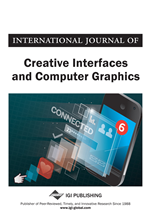 The article presents a multidisciplinary approach to develop interfaces usable by restorers, students and amateurs. Several interaction techniques were built using physical metaphors to navigate the layers of information revealed by multi-spectral imaging, prototyped using single- and multi-touch displays. The authors built modular systems to accommodate the technical needs and resources of various institutions and individuals, with the aim to make high-quality art diagnostics possible on different hardware platforms, as well as rich diagnostic and historic information about art available for education and research through a cohesive set of web-based tools instantiated in physical interfaces and public installations. The field of art diagnostics is concerned with revealing the history of a work of art to assess its condition and to help direct conservation efforts. Traditional techniques require technicians to abrade the surface of an image using scalpels and solvents to locate details and layers of interest (see Figure 1). While these techniques are seldom used with important works of art, direct physical interaction is time-tested, intuitive, and almost always collaborative. A traditional approach to art diagnosis and restoration. In this example, a sample region was scraped to determine what lay beneath the wall paint (see the patch on the right side of the image). At one depth, the diagnosticians found a fresco, and the restorers chose to uncover the entire wall to that layer. Alternatively, medical imaging equipment can be used to produce high-resolution images of the artwork at different wavelengths (e.g. infrared, ultraviolet, x-ray). These represent various materials deposited over the course of the painting’s history, from original sketches to layers of pigment and varnish. While safe, multi-spectral scans require specialized training to analyze, and the work is almost entirely carried out on single-user graphics workstations. When analyzing a multi-spectral scan, the diagnostician begins by precisely aligning the co-located high-resolution images with a multi-layered photo editing software on a powerful computer. Then, she looks for anomalies between the layers by zooming into a detail and superimposing two scans in transparency. By gradually adjusting the opacity of one image relative to another, the diagnostician can more easily perceive differences between the scans. These are usually analogous to alterations made over the history of the artwork. The diagnostician then saves the image detail, together with information about the layers and the level of opacity used (see Figure 2). A detail from multi-spectral analysis of a painting. This detail of a Raphael’s painting Young Woman with Unicorn is a composite of the visible image and an x-ray scan. It reveals that the columns framing the subject were added what was once a simple window. Once complete, art diagnosis can inform restoration and conservation efforts. In many cases, diagnosis will reveal the condition of a painting to indicate vulnerabilities and to direct conservation. Sometimes the diagnosis will reveal a ‘pentimento,’ or an early change of mind by the artist. In other cases, art diagnosis reveals interventions made by other artists and restorers which hide or destroy part of the original work. Depending on the philosophy of restoration, the artwork is conserved in its present state, returned to its original condition, or left as a pastiche of old and new. 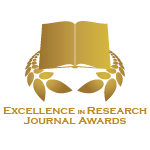 IGI Global’s Fifth Annual Excellence in Research Journal AwardsHonoring outstanding scholarship and innovative research within IGI Global's prestigious journal collection, the Fifth Annual Excellence in Research Journal Awards brings attention to the scholars behind the best work from the 2012 copyright year.